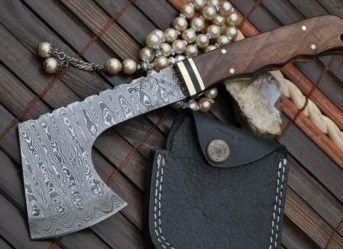 Genuine Damascus steel blade, over 150 layers of folded carbon steel. One piece from blade to handle. Micarta and Mosaic pins handle. Ideal for hunting, camping and bushcraft activities. It can hang around neck with the string supplied with sheath. 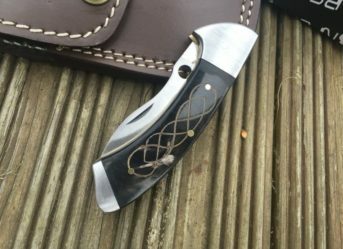 Bushcraft knives are small, pretty but equally deadly knives that you can consider falling under the category of survival knives. 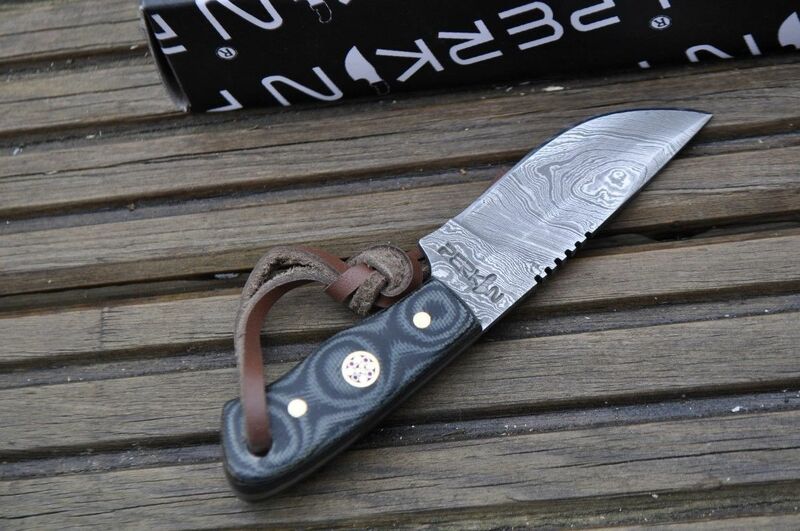 A bushcraft is typically a very small knife which can be worn hanging around the neck, tied to a string or a steel ball string or a leather string. Bushcraft knives come in very handy when you are in wilderness and require the minimum possible tools for your survival. These knives are made to be versatile so that they can help you in executing more than one actions. 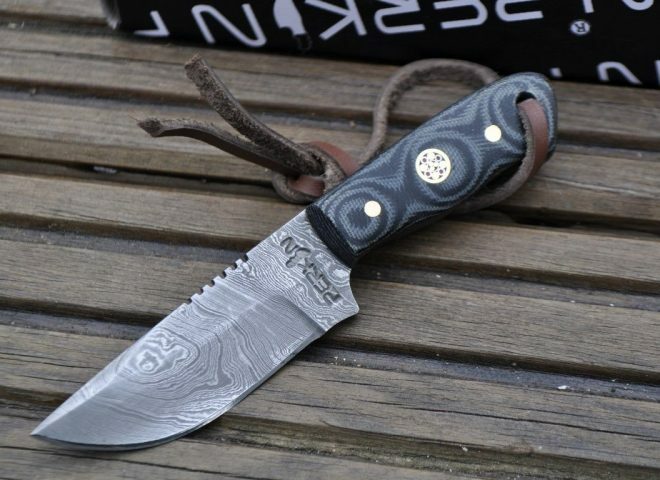 If you are looking for a bushcraft knife, then you may consider the damascus steel bushcraft knife that Perkins offers which also comes with a sheath. It is absolutely what you want for your next daredevil trip! Going out for a trekking adventure or a camping expedition? Well, I am sure you must have prepared your survival kit well in advance! In those difficult conditions, it is your survival kit and the tools in it on which you must have utmost trust. One such important inclusion in your kit is the bushcraft knife. 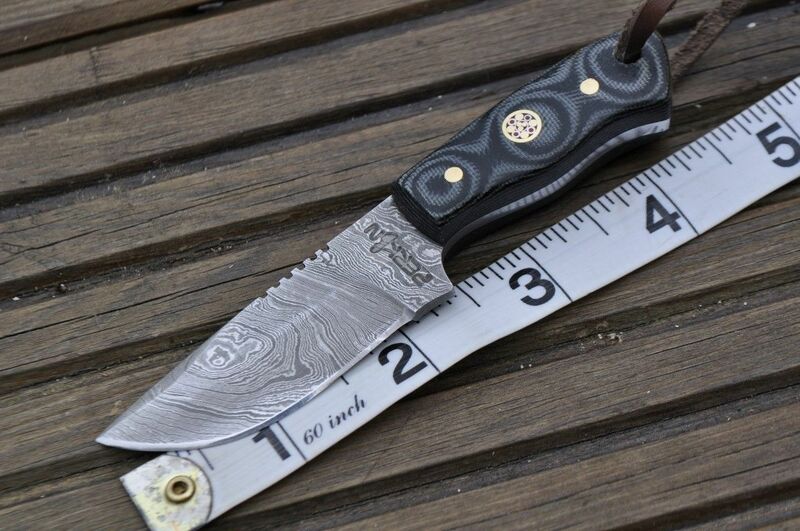 This small, harmless looking knife is one which will help you surpass many perils. You can easily hang it around your neck or around your arm or maybe tie it on the top of a pole so that you can use it as a spear! Fancy, isn’t it? 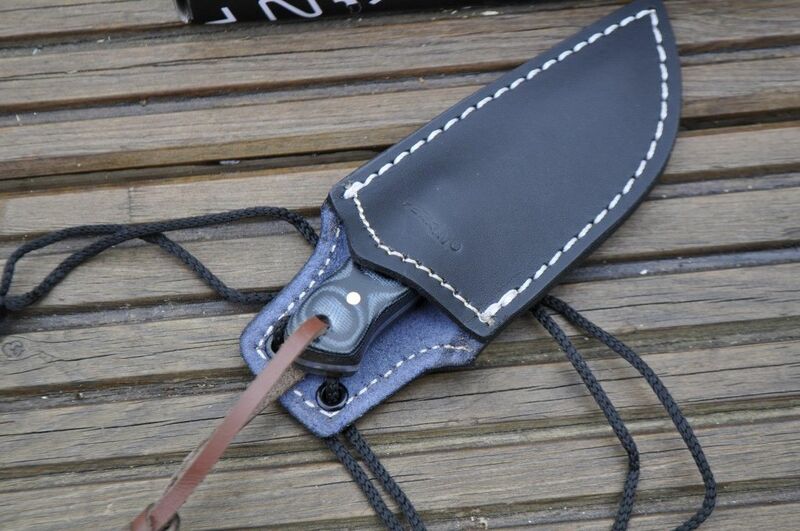 The perkins bushcraft knife comes with a leather sheath and can hang around the neck with the string provided with it. A bushcraft knife, if we try to decode it literally, is a knife that is meant to be used in wilderness. Yes, actually it is meant to be a part of a survival kit which your adventure self must carry along for any trekking, camping or maybe any other such activity where you might have to face adverse conditions. 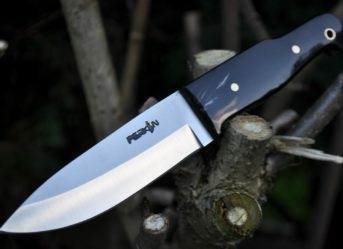 The bushcraft knives are small, impeccable knives which will always give you the best results in any condition. 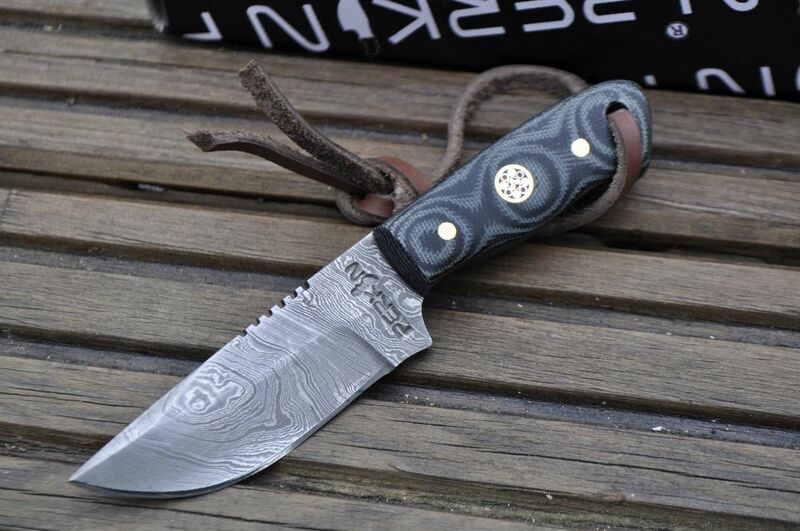 The perkins bushcraft knife is 4.5 inch knife with a damascus steel blade of 2.5 inches. 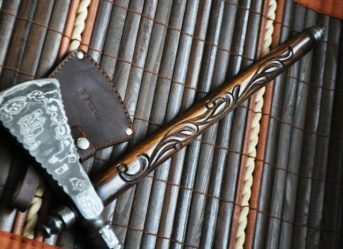 It comes with a leather sheath and a string attached to it which enables it to be worn around the neck. 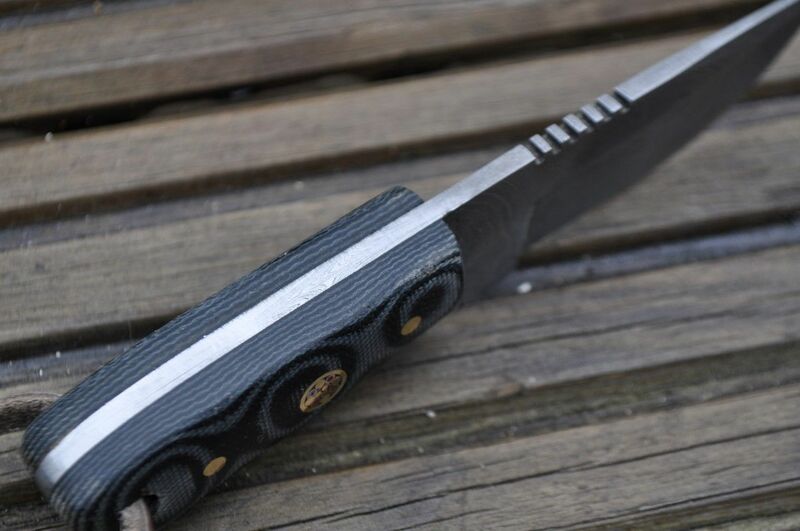 It has a micarta and mosaic pins handle that makes it easier to use.